Sgt. 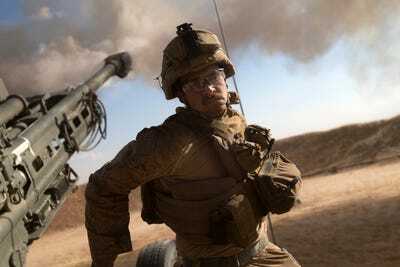 Matthew Callahan/US Marine CorpsThe US hit Assad hard on Thursday morning. A US attack on forces loyal to Syrian President Bashar Assad killed more than 100 in the country’s north on Thursday, and the regime came roaring back with airstrikes of its own on rebel forces near Damascus. 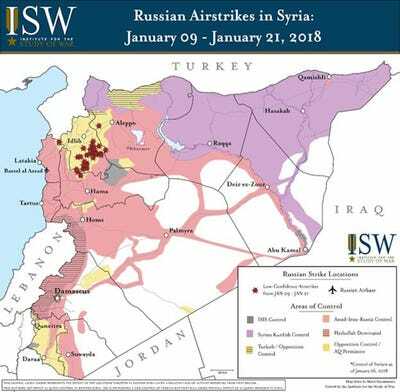 Assad’s strikes followed what the US called an “unprovoked attack” by his forces on the headquarters of the Syrian Democratic Forces (SDF), a group of anti-Assad fighters the US has trained and supported for years. In the exchange, no US forces were reported hurt or killed, but 500 of Assad’s were said to be engaged, many wounded, and 100 dead. “We suspect Syrian pro-regime forces were attempting to seize terrain SDF had liberated from Daesh in September 2017,” a US military official told Reuters. But Syrian state media characterised the event differently, saying the US had bombed “popular local forces fighting” ISIS, and that it was a US “attempt to support terrorism.” The Assad regime and its Russian backers have an established history of calling anyone who doesn’t support the regime a terrorist. Syria’s air offensive on rebel-held areas near Damascus has been going on for days, with local reports claiming that airstrikes from the Syrian government and Russia killed scores of civilians. In January, Syria vowed that it would eject US troops from the country, but since then the US announced plans to stay there long enough to counter Iran’s growing influence.